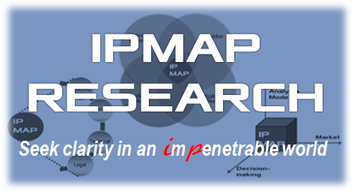 IPMAP Research is the firm’s research function that actively conducts research and publishes papers, articles and reports. IPMAP welcomes ideas and proposals for joint research and collaboration. We also offer services in customized research and commissioned study to address specific topics and issues that are interesting to our clients. Please contact us for details. Theoretical modeling has been completed; currently at the data search and collection stage. Analyze NPE business model based on innovation economics and financial theory. Determine stock market valuations of the patent portfolios held by NPEs. Assess the financial distress of NPE and forecast NPE credit risk for patent licensing, transaction, and litigation. Address practicing companies’ dilemma: pay NPEs or pay defensive patent aggregators. NPE business model in the post-AIA and post-Alice world. Click here for the papers and articles published. Click here for the recent presentations.